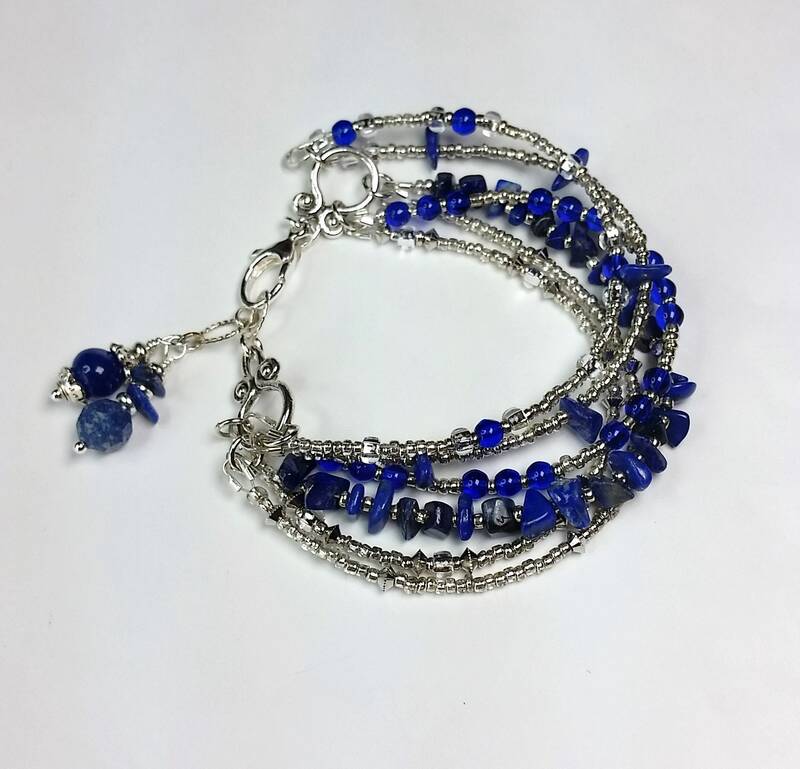 Cobalt blue and silver beads fill this unique bracelet with six separate strands. 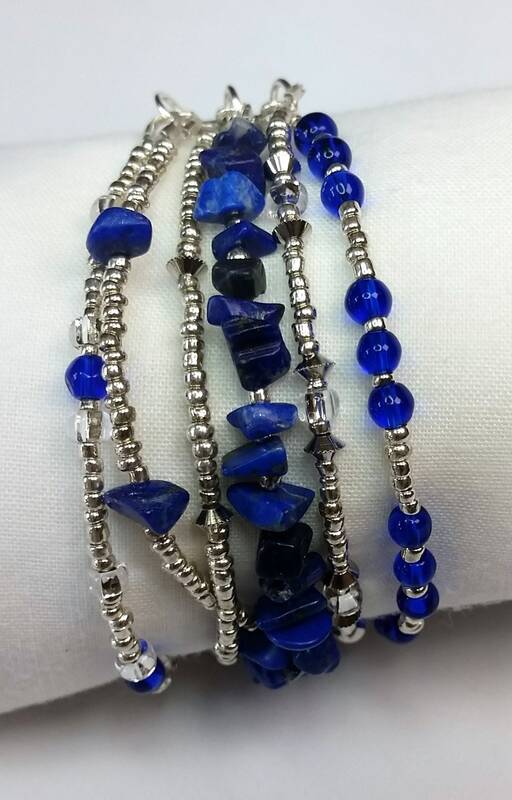 The beads include lapis lazuli chips, glass beads, metal beads and seed beads. 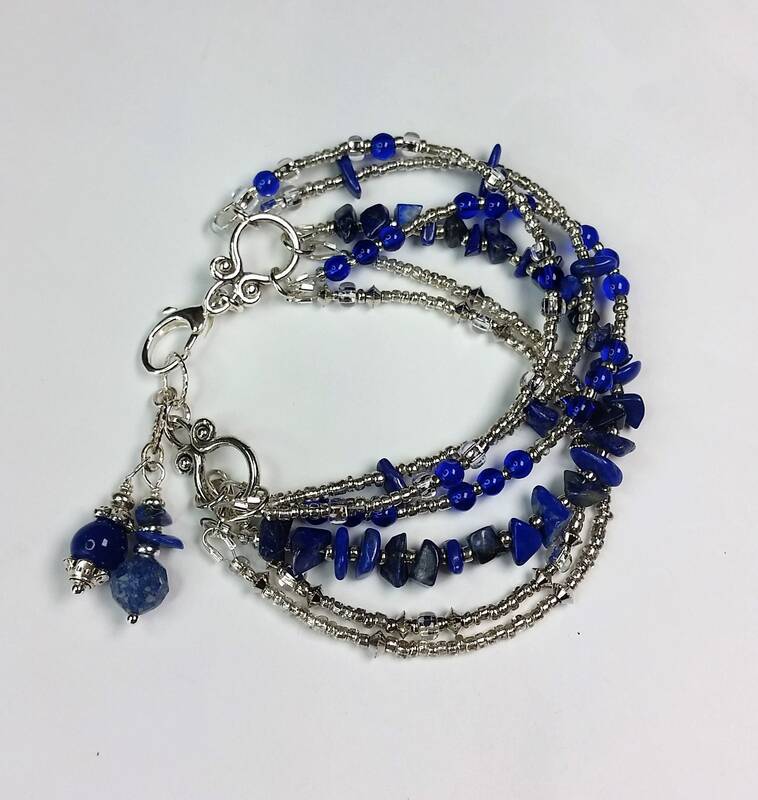 The 6 strands at each end all connect to a toggle shaped connector that attaches to the sterling silver lobster clasp at the one end and to a 0.75 inch chain at the other end. 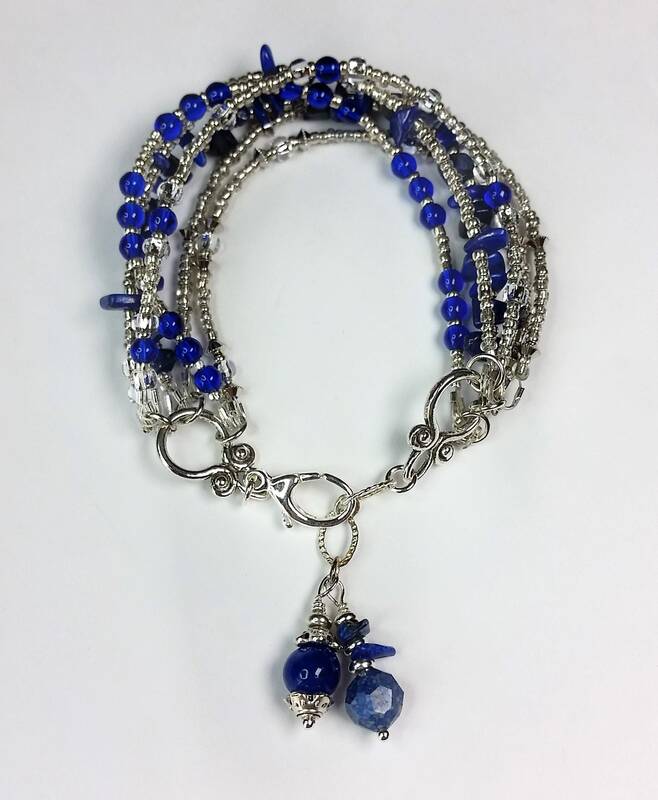 The chain makes this an adjustable bracelet fitting most wrists sized 6.25 to 7.75 inches. At the end of the chain are two decorative dangles that also serve as a counterweight. The bracelet drapes and changes as you move! 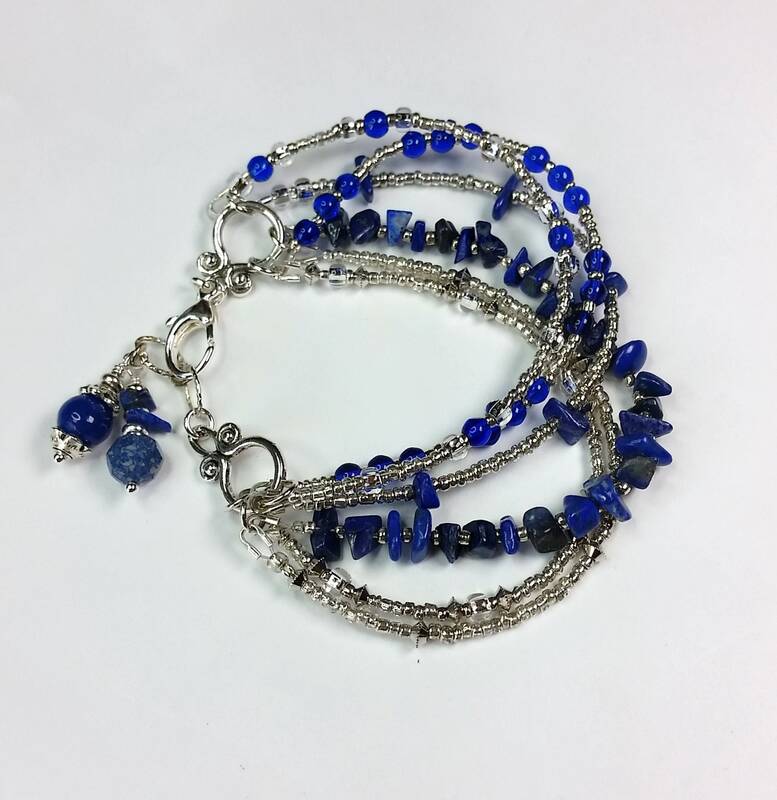 It is light in weight, adjustable in length, and easy to wear. The pictures show the look of the multiple strands in different positions.